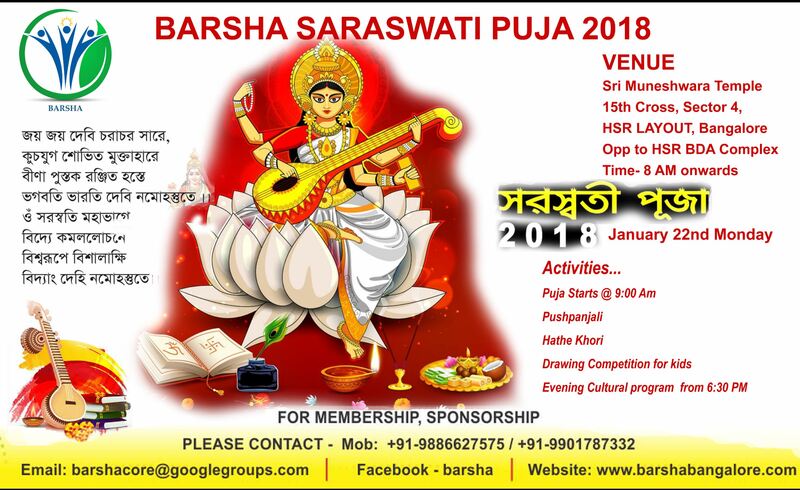 Barsha Association is very excited to bring to you Saraswati Puja 2018 to be celebrated on Jan/22/2018 (Monday). Time 8 AM onwards. Venue is same as Barsha Durga Puja.